In 2008, the University of Colorado Boulder launched the Forever Buffs initiative, which eliminated annual membership dues for all alumni. 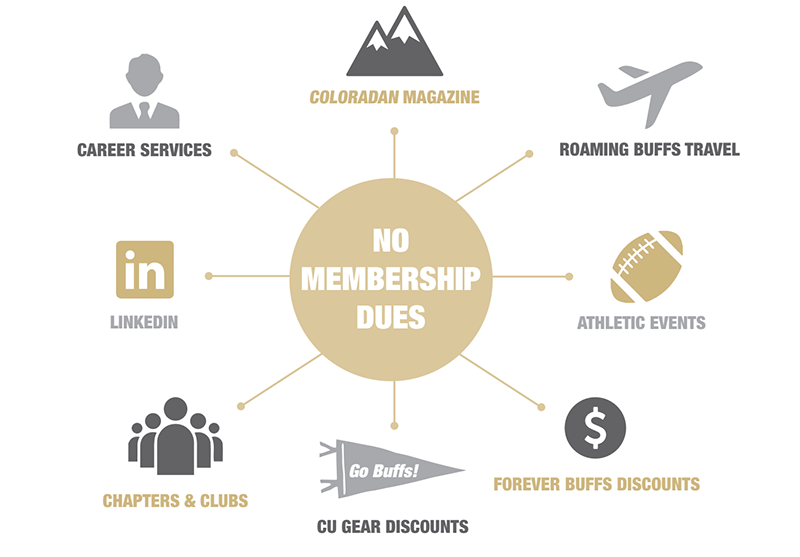 This means that all CU Boulder alumni have access to the Alumni Association's benefits including career services, the award-winning Coloradan magazine, events, discounts and more! It's membership benefits without membership dues. We hope that the Forever Buffs initiative makes it easy for you reconnect or increase your involvement with the university and that you will celebrate your CU pride with us!